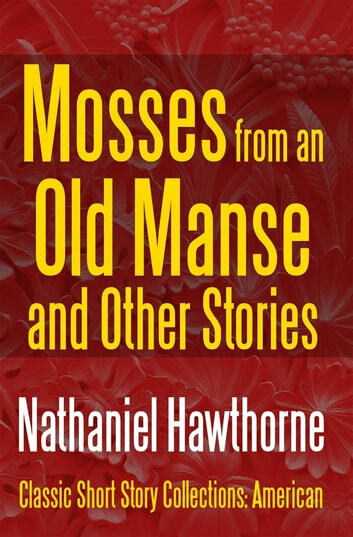 First published in 1846 in the present form, famous English story writer Nathaniel Hawthorne's book 'Mosses from an Old Manse, and Other Stories' is a collection of fictional short stories. 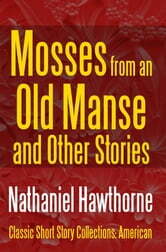 The collection includes several previously-published short stories, and was named in honor of The Old Manse where Hawthorne and his wife lived for the first three years of their marriage. The first edition was published in 1846. Hawthorne seems to have been paid $75 for the publication. This black conceit pervades him through and through. You may be witched by his sunlight,—transported by the bright gildings in the skies he builds over you; but there is the blackness of darkness beyond; and even his bright gildings but fringe and play upon the edges of thunder-clouds. William Henry Channing noted in his review of the collection, in The Harbinger, its author "had been baptized in the deep waters of Tragedy", and his work was dark with only brief moments of "serene brightness" which was never brighter than "dusky twilight". After the book's first publication, Hawthorne sent copies to critics including Margaret Fuller, Rufus Wilmot Griswold, Edgar Allan Poe, and Henry Theodore Tuckerman. Poe responded with a lengthy review in which he praised Hawthorne's writing but faulted him for associating with New England journals, Ralph Waldo Emerson, and the Transcendentalists. He wrote, "Let him mend his pen, get a bottle of visible ink, come out from the Old Manse, cut Mr. Alcott, hang (if possible) the editor of 'The Dial,' and throw out of the window to the pigs all his odd numbers of the North American Review. A young Walt Whitman wrote that Hawthorne was underpaid, and it was unfair that his book competed with imported European books. He asked, "Shall real American genius shiver with neglect while the public runs after this foreign trash?" Generally, most contemporary critics praised the collection and considered it better than Hawthorne's earlier collection, Twice-Told Tales.